Nose piercing is a common body art that is done especially by women all over the world. 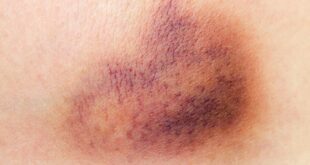 Its healing is relatively easy or if sometimes slow it takes about three to four months on average. A bump, keloid or lump is not in mind when you go for a nose piercing. Unfortunately sometimes someone get it due to trauma. The trauma could be due to hitting a nose piercing that is yet to heal, or forcefully pulling out the nose ring. Below in this article you will find useful information regarding nose piercing, some conditions following piercing, the causes of nose piercing bumps, Infection, Keloid or Lump on Ring and various treatments that can be used to get of the bumps. Nose piercing is a common body art that is done by many people especially women all over the world. A successful piercing gives a prettier look. However, not all nose piercing heals effectively. It is stressful to have a bump on your piercing, after healing it may cause keloid on the affected part. 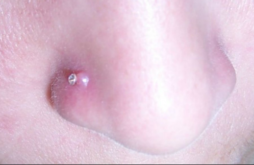 A bump may develop on the nose a few days or months after the piercing. Poor piercing skills and unhygienic procedures is the main reason of infections that results to development of bump. The use of unsterilized equipment’s such as the needle or gun may transfer bacteria and other micro-organisms to new piercing. The bumps normally appear red and raised. 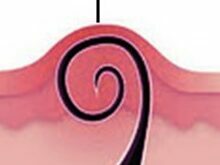 When it is left untreated, a nose piercing infection can lead to the development of scar tissue. Not each bump on nose piercing is a sign of infection but in case of infected bump, it may look like pimple and may get pus. A bump developed on nose piercing as a result of an infection may be caused by bacteria, fungi or other pathogenic micro-organism. 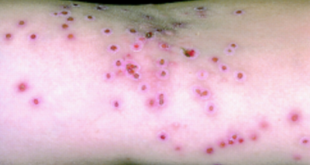 Keloids are abnormal growth rate of skins fibrous tissues in response to an injury. Keloid may develop after piercing, surgery, acne or any other accident that causes trauma to the skin. They can develop on any part of the skin that is affected. The nose may develop a keloid either on the upper or inner surface after piercing. Some people have higher chances of developing keloid nose piercing than others. 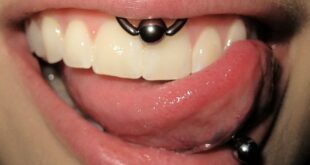 It is therefore important to avoid body piercing if your first piercing developed a keloid. The chances of developing another keloid are high. 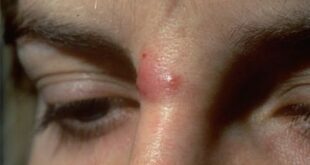 Keloid may develop on the areas around the piercing inside your nose. It may result to itchy sensation and if not treated, it may increase in size and cause swelling of the nostril or the septum. Lumps on the nose can be very stressful especially when they get infected. 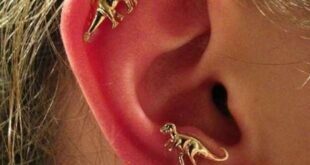 They may cause scarring, keloids or increase the healing period of the piercing. Taking good care of your nose piercing can prevent many discomforts caused by the lumps. 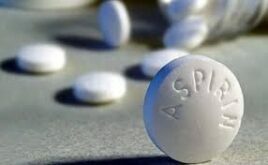 Aspirin is an anti-inflammatory drug which can heal infection without causing an irritation. It also promotes the healing process by opening up the blood vessels. Crush a tablet in a bowl and mix with some water to make an Aspirin paste. Apply the paste on the bump before going to bed. It is easily absorbed into the skin and allows the infection to drain. 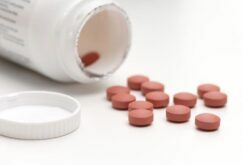 Anti-inflammatory drugs like ibuprofen or acetaminophen can help to reduce pain and other discomforts that results from bumps or trauma on your nose. 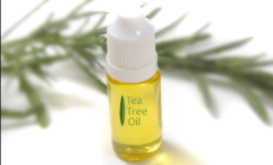 Applying tea tree oil is a great way to deal a nose piercing infection. It contains antibacterial properties that help in treating various skin blemishes. Take some diluted tea tree oil by using cotton wool to the infected area. 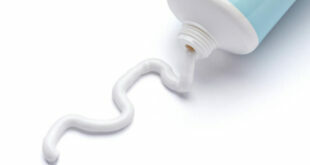 Apply it only two times because tea tree oil may cause skin irritation. Hot compress is a simple way of treating a bump on nose piercing. 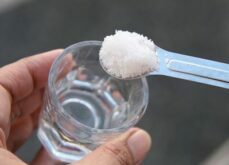 Simply add sea salt in hot water and stir well to make a solution. Soak cotton ball in a hot solution and press it onto the bump until the heat dissipates. Repeat this twice a day for 5-6 days. Make sure that compress is hot enough for the heat to penetrate the bump. Chamomile tea is a helpful remedy for infected nose piercing. 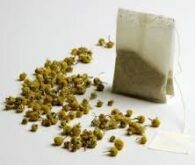 Add chamomile tea bags to a container with warm water and compress it on the piercing. Repeat the procedure thrice a day for about 3-4 minutes. The infection causing the bumps is sometimes caused by the choice of jewelry. Wrong choice of nose piecing jewelry can cause delayed healing process. It can also increase the chances of an infection and other conditions. Consider surgical stainless steel, quality niobium and titanium jewelry. 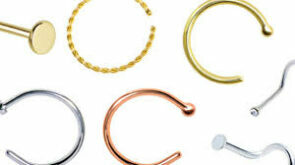 Avoid wearing cheap jewelry offered at piercing shops because they can easily cause infection. Hopefully the above given treatment may prove helpful in treating Nose Piercing Bump, Infection, Keloid and Lump. But there are various conditions that require medical treatment. So consult your nearest healthcare provider to diagnose your condition and find out the exact cause.